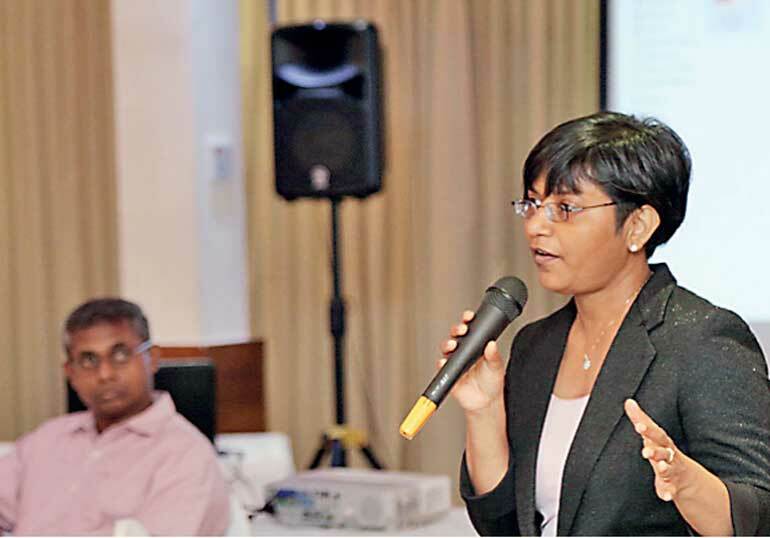 The Informatics Institute of Technology (IIT), the pioneer in providing globally renowned IT and business higher education in Sri Lanka, recently held the Big Data Analytics Open Forum at The Mirage, Colombo. The event was attended by IT and corporate professionals who represented several renowned multinational and local blue-chip companies. The Open Forum discussed the uses of big data, business analytics and business intelligence tools to empower organisations to achieve success. The event was addressed by IIT CEO Dr. Sampath Kannangara, Robert Gordon University, UK Professor of Intelligent Systems Research Nirmalie Wiratunge, IIT Senior Lecturer/Course Leader Cassim Farook and IIT Senior Lecturer and Course Coordinator Alroy Mascranghe. Dr. Nirmalie Wiratunga from the School of Computing Science and Digital Media at the Robert Gordon University in Aberdeen, Scotland, addressing the forum, said that big data is a popular topic which has gained much attention and is of strategic importance to Robert Gordon University and Scotland. “What is Business Analytics? Everyone is talking about it these days. It is simply turning data into insight. If you have heard of Netflix, they have a lot of subscribers as well as data. After further investigation into the types of TV shows that subscribers prefer to watch, they found a relationship between specific pairings of TV shows and they went on to produce the American version of House of Cards which was a huge success. Another heavily used example in business analytics is on pampers and beer. A famous supermarket wanted to get an idea of the products customer like to buy together when they shop at the grocery store and they found a very unusual pairing which was pampers and beer. They put these products next to each other and even gave a promotion on these two products together and the sales increased by a vast amount,” said Alroy Mascrenghe while speaking on the topic of business analytics. Senior lecturer at IIT Cassim Farook stated that big data analytics is targeted towards tech savvy, R&D and research-oriented architects, solution designers, implementers and engineers. He added that the MSc. in Big Data Analytics offered at IIT will provide students following the program with an in-depth knowledge of technologies and tools that will give rise to efficient big data analytics solutions. IIT is currently offering an MSc. in Big Data Analytics and an MSc. in Business Analytics from Robert Gordon University. For more information and to register contact IIT on 0722 727272 or visit their website www.iit.ac.lk.